Jonathan Haidt’s essay, Van Jones’ Excellent Metaphors About the Dangers of Ideological Safety, and the sentiments Jones expresses, are in their core essence an argument against liberalism and in favor of conservatism. The idea of “anti-fragility” is developed at length, and with a great deal of evidence, in Nassim Taleb’s book Antifragile. This idea was at the core of my essay with Greg Lukianoff, The Coddling of the American Mind. Jones adds the argument that many universities, by granting demands for ideological safety and purity on campus, are doing things that strengthen the right (by creating a kind of liberalism that offends many people beyond the campus) and that weaken the future leaders and activists of left. 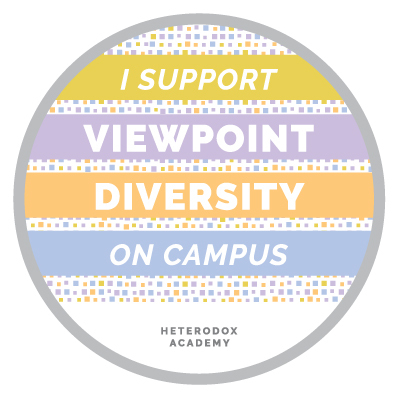 Jones thereby makes the strongest case I have yet seen for why–in the wake of the unexpected Trump victory–progressive students should be asking for more exposure to more political diversity (as Harvard students have), and for why progressive professors should join Heterodox Academy to improve the educational effectiveness and intellectual vibrancy of universities. Here are my observations about all of this, which I posted as three comments to Haidt’s essay on the Heterodox Academy web page. Conservatism is Anti-fragile. Liberalism and Progressivism are Pro-fragile. The all-foundation morality of balance between individualizing and binding, between autonomy and community, between the bees and the hive, is Anti-Frigile. The three-foundation morality – and of those most just “care” – of all individualizing all the time, is Pro-Fragile. The core principles of The American Revolution and of the Constitution are Anti-Fragile. The core principles of the French Revolution and of left-wing government schemes and levelling are Pro-Fragile. The protection of rights, aka the purpose of government, rightly understood, is anti-fragile. The protection of people, aka the liberal morality of “care,” is Pro-fragile (and antithetical to the purpose of government). Negative liberty – freedom from; a core principle of America’s founding embodied in the Constitution –and of liberty itself, rightly understood, is Anti-Fragile. Positive liberty – freedom to; a core principle of left wing thought since the French Revolution, and the object of practically every left wing scheme ever attempted – is Pro-Fragile, and antithetical to liberty rightly understood. Process-based liberty, equality, justice, and fairness – another core principle of each of those things, rightly understood, and of the Constitution – is Anti-Fragile. Outcome-based liberty, equality, justice, and fairness – another core principle of the left-wing version of each of those things – is Pro-Fragile. The rule of law, again a core principle of liberty and of America’s Founding and of the Constitution, rightly understood – is Anti-Fragile. The rule of man, via levelling schemes like affirmative action, the nanny state, Social Justice in all its forms, is Pro-Fragile. Haidt’s First Story About Capitalism – Capitalism is Exploitation – is Pro-Fragile. Haidt’s Second Story About Capitalism – Capitalism is Anti-Fragile. Obama, and the Obama Administration, with its eight year world apology tour, and left-wing thought since forever were, and are, Pro-Fragile. 2) It is the Pro-Fragile mentality of the Platonic idealism and epistemic arrogance of WEIRD rationalist Western liberal/progressive culture that is tearing that culture apart. I am highly confident that if honest, open minded, thinking and studies of the sort suggested by “Is Political Science Politically Biased?” were to be done then both of my numbered assertions above would be found true. and described in the paper “Evaluating Evidence of Psychological Adaptation” by David P. Schmitt and June J. Pilcher. 6) “The Cave and the Light: Plato Versus Aristotle and the Struggle for the Soul of Western Civilization,” by Arthur Herman. “Antifragile…reads like a user’s guide to the Trump insurgency. “It might as well have been the mission statement of the Trump campaign. Asked in a phone interview this week whether he’s had meetings with Bannon or his associates, Taleb said he could not comment. “Anything about private meetings would need to come from them,” he said, though he noted cryptically he’s had “coffee with friends.” He has been supportive of Trump but does not define himself as a supporter per se, though he said he would “be on the first train” to Washington were he invited to the White House. « Conservatism is Right. Liberalism is Wrong. If we were having a strictly philosophical conversation, you may be correct, but since we are no longer in the metaphysical stage of society, I think it is more useful to look at reality. Today’s Conservatives are nothing more than hypocrites, masquerading as problem solvers. Every one of the major Conservative policies are warmed-over versions of failed ideas. So, contrary to being Anti-fragile (love Taleb), contemporary Conservatism is just another example of Dogma gone wild, complete with historical revisionism and ideological assumption without evidence. There is a reason that Max Planck said ‘Science advances one funeral at a time’ – the human mind makes it very difficult to objectively evaluate ideas and information without the heavy influence of narrative bias, and BOTH left and right have so much narrative bias, it is entirely understandable why Washington is so dysfunctional today. Watch for Jones’ profile increasing toward 2020. Interesting in that to be “anti-fragile”, you need to first believe/perceive the people/students aren’t fragile.